Simon & Schuster, 9781501176869, 464pp. James Lee Burke’s most beloved character, Dave Robicheaux, returns in this New York Times bestselling mystery set in the towns and backwoods of Louisiana: an “enthralling yet grim novel that…will captivate, start to finish” (Publishers Weekly). Dave Robicheaux is a haunted man. From the acts he committed in Vietnam, to his battles with alcoholism, to the sudden loss of his beloved wife, Molly, his thoughts drift from one irreconcilable memory to the next. Images of ghosts pepper his reality. Robicheaux’s only beacon remains serving as a detective in New Iberia, Louisiana. It’s in that capacity that Robicheaux crosses paths with powerful mob boss, Tony Nemo. Tony has a Civil War sword he’d like to give to Levon Broussard, a popular local author whose books have been adapted into major Hollywood films. Then there’s Jimmy Nightengale, the young poster boy of New Orleans wealth and glamour. Jimmy’s fond of Levon’s work, and even fonder of his beautiful, enigmatic wife, Rowena. Tony thinks Jimmy can be a US Senator someday, and has the resources and clout to make it happen. There’s something off about the relationship among these three men, and after a vicious assault, it’s up to Robicheaux to uncover the truth “in the barn-burner of a climax” (Booklist, starred review). Complicating matters is the sudden death of the New Iberian local responsible for Molly’s death; namely that Robicheaux’s colleague thinks Robicheaux had something to do with it. As Robicheaux works to clear his name and make sense of the murder, a harrowing study of America emerges: this nation’s abiding conflict between a sense of past grandeur and a legacy of shame, its easy seduction by demagogues and wealth, and its predilection for violence and revenge. 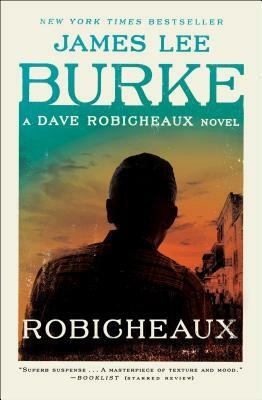 “It has been almost five years since James Lee Burke’s last Dave Robicheaux novel, and it was absolutely worth the wait” (Associated Press).